I discuss a lot about how slot machines work and their payouts. But today, I’d like to look at how Forbes covers the subject of slot machine payouts. Contributor David G. Schwartz, who’s the Director of the Center for Gaming Research at UNLV, covered how payouts are determined on slot machines. That said, let’s look at what he said along with what you can take away from the discussion. One key point that Schwartz hit upon is how slot machines are programmed to pay out a specific percentage of bets. Gaming jurisdictions mandate that casinos pay back a minimum amount. But casinos normally offer more than the stated payout percentage. “But the player can benefit from one thing. If slot machines never paid out anything, players would stop playing, and casinos would go out of business,” writes Schwartz. “Most jurisdictions mandate that slots return a set minimum amount to players. 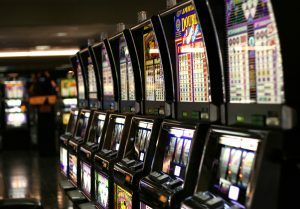 85 percent is the magic number in Nevada, though most machines return more than that on average. One overlooked part of slots payback is volatility, or how much short-term results differ from the payout percentage. “Games with low volatility, like video poker, pay back more frequently but in smaller amounts. While high volatility games, like the Megabucks progressive, have fewer, bigger (think several million dollars at most) hits,” explains Schwartz. You can see that both volatility and payback are two crucial elements you want to look at when trying to figure out how much slot machines pay. ← Do Max Slots Bets Help You Win More?